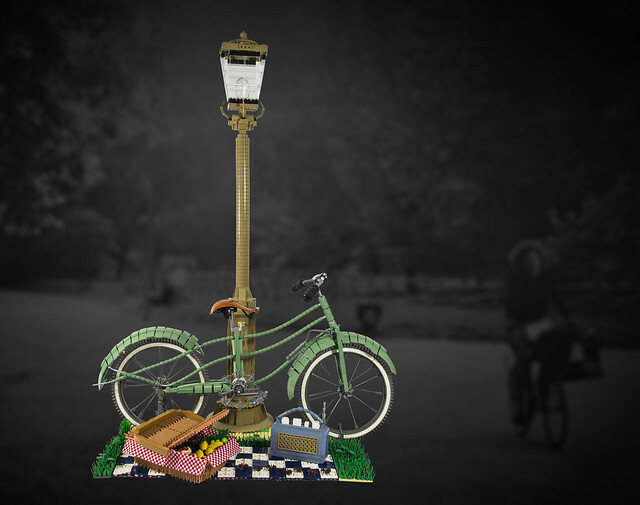 Builder and BrickNerd alumni Melan-E not only crafted a brilliant MOC here, she fostered a mood and longing. Who can look at this wonderful bicycle and picnic basket and not feel at least a slight urge to throw some bread and cheese in a basket and hop on the saddle? Check out more pics of this charming creation here.